While the benefits of the cloud and the pervasiveness of new digital technology impact our professional and personal lives - more than at any point in history - the need for the tech skills to make this all work has never been under so much intense pressure. Not every firm can drop $200K a year on whizkid programmers who can actually handle this stuff, so the focus moves to those firms which can do this effectively and affordably. The industry's only dedicated engineering services analyst, Pareekh Jain, has been micro-focused on the emerging engineering service industry over the past couple of years and today unveils the industry's first unvarnished view of software product engineering capability of the leading service providers. 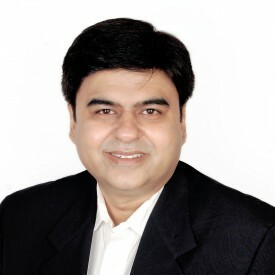 Pareekh, how do you see this market evolving and what are the key drivers for software product engineering services? This market is very dynamic today. A few years ago there were only a few specialized and small service providers who strategically focused on this market. Large service providers generally treated this market and clients more opportunistically. Their product engineering service capability was relatively small and often sat inside a larger ADM practice. Overall the attractiveness of ISV market was not high enough for large service providers to make investments to serve this market in detail. Now the market attractiveness has increased because of two reasons. First, as ISVs (Independent Software Vendor) are moving to As-a-Service, they need help. Second, as more and more products are software driven in IoT world, enterprises need help too. Traditional software product engineering outsourcers were ISVs. Later internet companies who faced similar challenges of scalability, reliability as ISVs also became a major customer segment. What we are now witnessing is an emerging trend with the rise of IoT that all products and industries are becoming smart and will need software solutions for scalability, reliability and connectivity. The traditional ISV market had limited potential and was driven by the R&D spend of ISVs but this much greater market for software products beyond ISVs has huge potential. Consequently, service providers both large and specialized are increasing their attention on and capabilities to serve this market. We have observed new specialized service providers have also emerged in this space in the last few years. This Blueprint analysis was interesting. First we researched how service providers are making investments in helping ISVs transition to As-a-Service economy and used these criteria also in evaluating service provider capabilities. The scope of this Blueprint was software product engineering services for ISVs and internet companies. We excluded software product engineering work for enterprises because it is still an emerging area and there is a lack of a common understanding among service providers of what enterprise work will qualify as ADM versus SPE. We evaluated 13 service providers for this study. These service providers include providers which are China centric, Eastern Europe centric, Latin America centric, and 100% domestic US sourcing centric in addition to India centric service providers. This is much geographically dispersed than most other outsourcing markets we research. There are five service providers in our Winner's Circle - Cognizant, HARMAN, HCL, EPAM, and TCS (in alphabetical order). They all have the scale and are making investments in technologies, design and IP capabilities to push this market forward. High Performers and other service providers are also capable of delivering high-quality services. I was also impressed by three small service providers Belatrix, Happiest Minds and Nexient which are new age software product engineering service providers without any legacy hangover. Their scale is very small, and practice areas are still evolving, but their direction is good. They all have a promising future if they are able to scale up with systems and process and able to maintain their focus. In this Blueprint, we also focused on benchmarking and operations improvement. This is first of its kind of software product engineering services study where we tried to collect important operating data from software product engineering service providers and arrived at the aggregate or the average software product engineering services industry metrics. This should help each software product engineering service provider and captive to benchmark their operations and identify their strengths as well as areas or levers of improvement. Pareekh, what regions are excelling at providing affordable software engineering services? Is this still all about India, or are we seeing new regions emerge, such as Romania, Russia and China. And is onshore in the picture? The majority of software product engineering work is still being done out of India, but we have found of pockets of excellence in Central and Eastern Europe (mainly Ukraine, Romania, and Russia) and China. The buy-side customers have highlighted that the cost of doing work from Eastern Europe is slightly higher than that of India. In addition, we are seeing some increased delivery investments in Israel and Silicon Valley becoming increasingly important for several customers, as it helps to leverage synergies with their innovation ecosystems, especially with several of the leading service providers making augmenting their delivery center capabilities in these locations. There are five key takeaways. First, there is renewed interest in this market and technology developments are creating interesting market opportunities. Second, for buy-side access to skills and time-to-market are most important drivers for software product outsourcing. Earlier it was cost and time-to-market. Now new technology developments have increased the importance of access to skills relative to the cost. Third, ISVs are facing disruption and need the help of software product engineering service providers in their "As-a-Service" journey. Fourth, scale is becoming important for service providers to make investments. Fifth, New service providers are entering this market and some service providers which were ignoring this market are making investments. We will be watching four key trends. 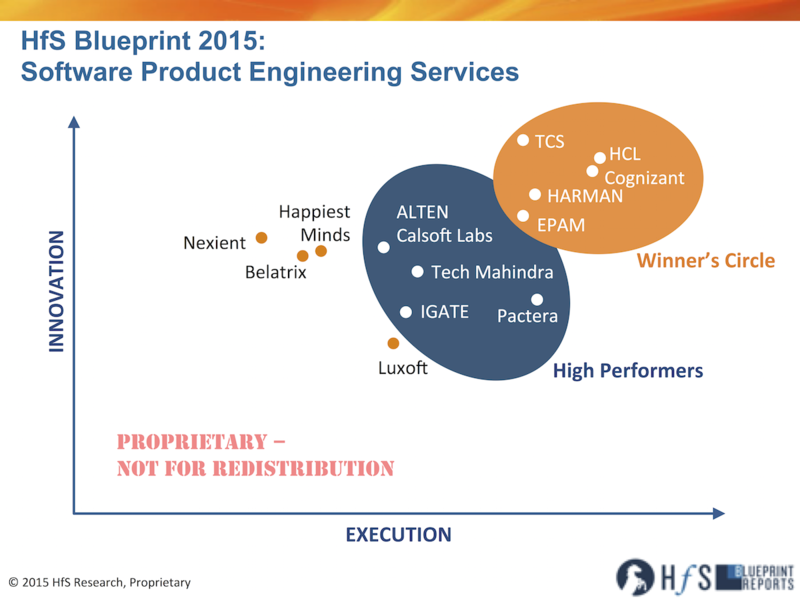 First, how will the software product engineering services revenue grow for service providers? Does it grow faster than overall IT services revenue? Will new service providers enter this market? Second, how will service providers build their scale organically and through mergers and acquisitions? Third, how will service providers augment their capabilities and service offerings? How some of the critical areas identified by us such as DevOps, product management, automation, design thinking become prevalent? Finally, will we hear examples of successful software product outsourcing case studies from new disruptors and Unicorn companies which are important and growing segments but still under-penetrated for software product outsourcing. HfS readers can click here to view highlights of all our 28 HfS Blueprint reports. See our plans for 2016 Blueprints here.